Lily's Little Learners: Lily's Most Played with Toys as a One Year Old. Lily's Most Played with Toys as a One Year Old. I know that when it comes to Birthdays it can sometimes be tricky to know what to buy your children when they are as young as one year old. They can't talk yet so its not like they can tell you what they want. They also may not have to much preference to what they love to do or play with yet. They are changing so much, and so fast that it can be really hard to know what they would love to play with. I know when it came to Lily's first Birthday and first Christmas (as they are a month apart) , I wanted to get her gifts that she would grow with. So a year on and Lily is about to turn 2 years old. I thought it may be a nice idea to talk about the toys that she got bought for Christmas and Birthday last year that she has loved the most. Last year for her birthday and Christmas Lily got her first Wow toys sets. 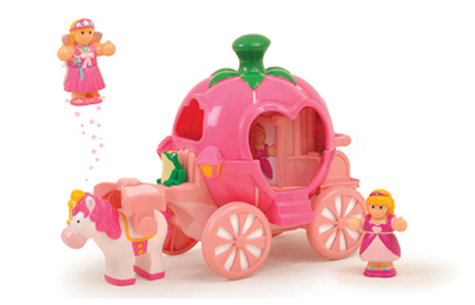 She got Dynamite Daisy, Charlotte's Princess Parade and Pippa's Princess Carriage. These along with more bought through out the year have been Lily's favourite toys. I would say she gets them out on a daily basis to play with. They are also great toys for children who can easily break toys by throwing them and bashing them about as I must say, they have had some bashing and they are ALL in perfect condition still. They are aimed at children 18 months old but I gave Lily hers at year old and found no problems. Lily got this for her Birthday last year and it was definetly a good choice of gift. Not only has her Little People collection grown because of the amount she loved this toy but it has had so much use this year. Her favourite thing to do is put the animals into the slide thing which you tip up to slide the animal out. Its a great toy for a one year old as there is so much to do on it, and it makes noises to. 3. Fisherprice and Leapfrog Tea Sets. 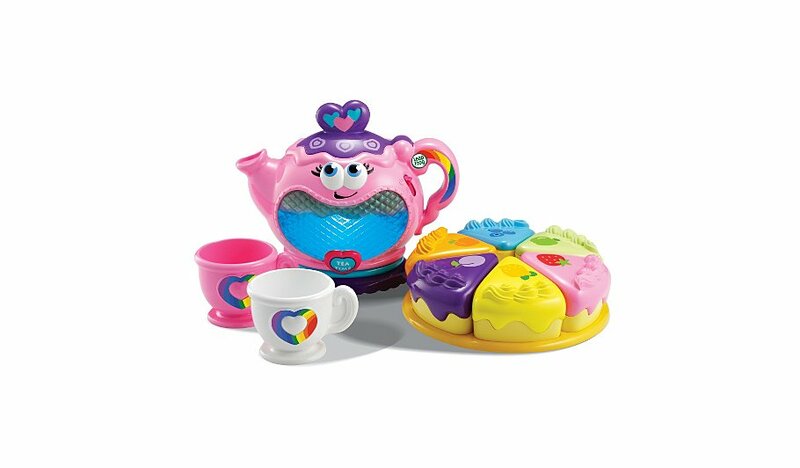 Lily has both of these tea sets and she loves them both just the same. Again this would be a toy she would get out on a daily basis and serve tea and cake for me and her stuffed toys. These are great for one year olds as they are nice and chunky for there little hands to grasp and I would say it has really helped develop Lily's imaginative play. One thing your child may be doing around this age is learning to walk. Lily got the Vtech First Steps Walker for Christmas and it has really helped her learn to walk. Its a really steady toy for them to push along. The features on the front are also really entertaining for them. Colourful, Noisy and lots to do with their hands. Lily still plays with this now. She doesn't push it around much anymore but you will often see her sat in front it pressing the buttons and placing the shapes in and talking on the phone. Lily is a really big Happyland fan. This was her first set she got, which she got for her Birthday. She loves all the figures that come with it and that you can open doors on it and put the figures inside. She also loves sitting the little figures into the seats. This toy Lily has definetly played with a lot. Along with her other Happyland sets she has. I think they are great for one year olds with having chunky figures to hold and lots to use the imagination for. 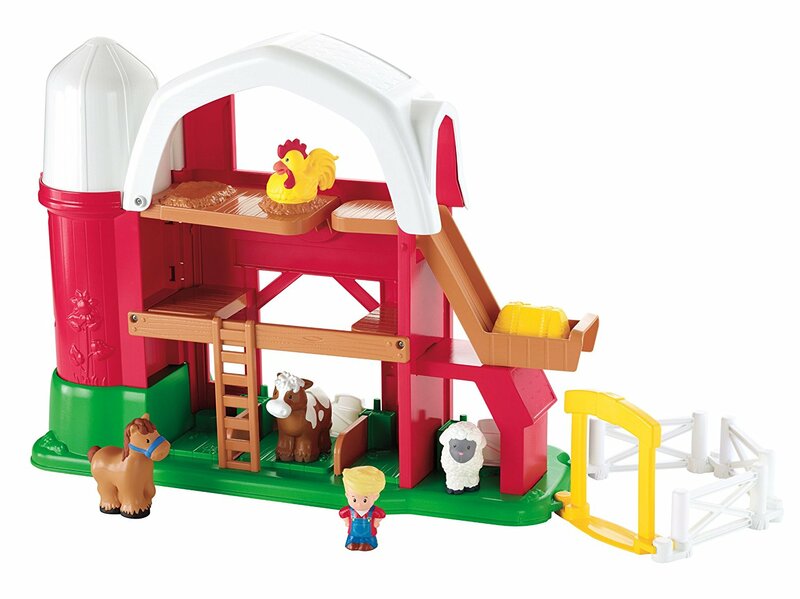 They also grow with the child as Lily will be getting more Happyland toys this year for her second Birthday. There is such a range of Happyland Toys to collect, such as Cars and shops, and aeroplanes and much more. So I hope that if you were struggling what to buy your little one that some of my ideas have inspired you. You can do a search online for all of these toys and easily find them and pick them up. Which of the toys do you think your child would like the most? I love Fisher Price, exciting, durable and great colours too! 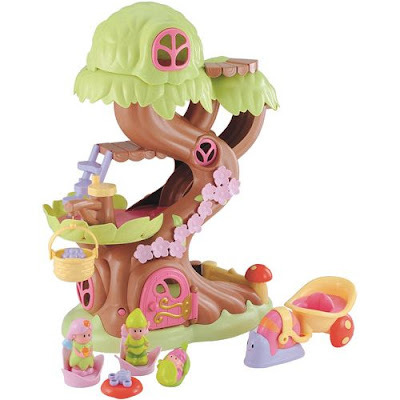 Love the Happy Land Fairy Tree. Thats a toy that my daughter will love. Great suggestions! Noah was a fan of the farm and walker too! 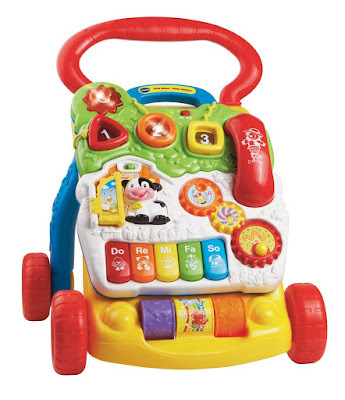 The VTech first steps walker is great. We have one. I loved the little Farm Set as a kid but it looks a little different now. 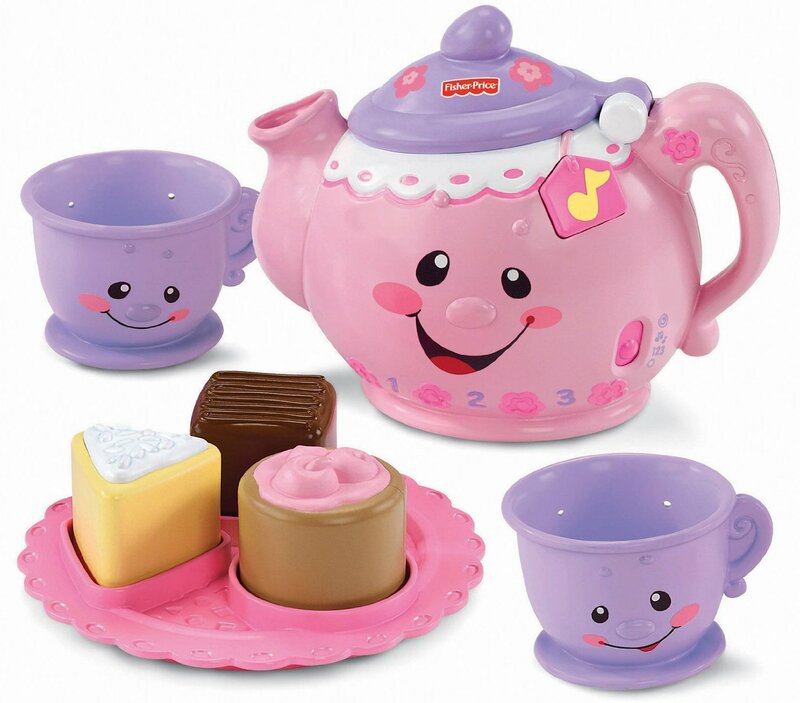 I agree that the Fisherprice Little People collection are fantastic, especially the Farm Set, and it's a really great idea to buy a Tea Set for your little one when they are between 1 and 2 years old, as they will love it - my little boy does! !